Do you have an unevenly elevated garden in your home? The solution could be installing retaining walls. It is the best way of preventing the runoff of soil so that it does not mess up the lower level. You can either choose sheet pile, anchored, counterfort, gravity, or cantilever walls depending on the gravity of your landscape. 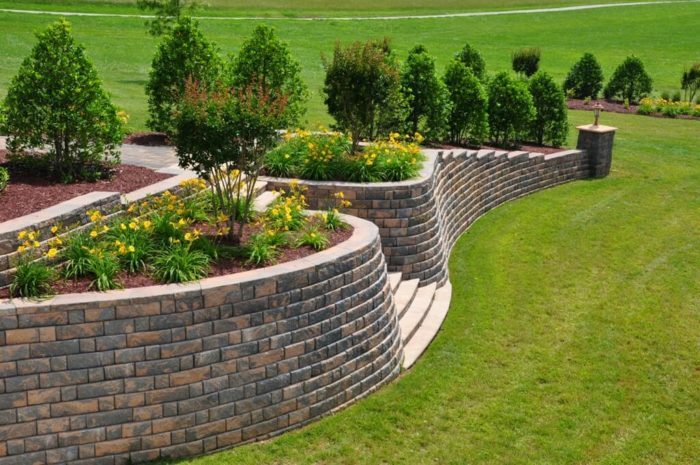 You can build your retaining walls from metal, brick, concrete, or stone materials. The most important thing is to choose the one that matches your garden and SoFlo Contracting cab help you in making an educated decision. Here is a brief description of each of these retailing wall designs. Cantilever walls can support large amounts of earth and hence are ideal for tall slopes. These walls have an irregular thickness and the top is considerably thinner than the bottom. The wall rests on a slab that absorbs heavy weight at the bottom. The construction of a cantilever wall is not a DIY project because the project is a complicated one. Calculation of the dimensions before building these retaining walls calls for professional expertise. The walls are cast with concrete and reinforced with rebars. Contractors may also use buttresses to counter the heavy weights. The advantage of these walls is that they use less materials. Gravity walls aren’t as weight resistant and as solid as the cantilever walls. However, they will not cost you much and are less complex to build. If the elevation difference in the garden is not so steep, gravity walls will work perfectly for you. Gravity walls tend to resemble cantilever from the top down even though they don’t have a second layer arm. The absence of buttresses decreases efficiency but not a great extent for smaller walls. However, you may decide to construct a concrete footing for additional stability even though you will want the help of professional excavators. These walls closely mimic cantilever retaining walls but the inclusion of concrete webbings on the rear to connect the lever arm and wall makes all the difference. The implication of this additional feature is that the walls will counter the shear forces from the earth. Therefore, counterfort retaining walls are the best when dealing with walls that have a height of 25 feet and above. Its an economical option more than the cantilever retaining walls. These retaining walls utilize anchors in the form of cables that are driven into rock and soil. The design calls for complex construction techniques that make them expensive but highly efficient for high loads. Cantilever retaining walls can serve this purpose but they are too think. On the other hand, the design of gravity walls does not support high loads. Sheet pile retaining walls use steel, wood, and vinyl planks in holding them up. The support is similar to the one that is used while planting saplings. The soil that is on the two sides of the piles will hold them up towards the bottom. If these piles can bear the bending forces from the soil, such a wall can endure the heavy loads. You must pay close attention to the materials that you are using on the retaining walls. 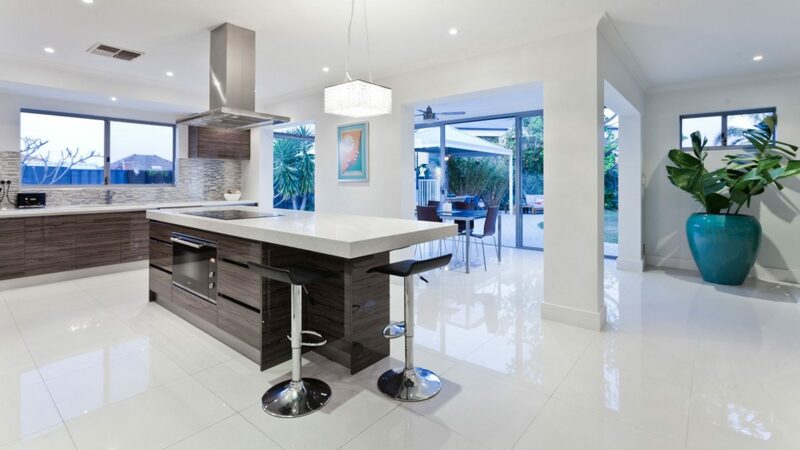 Concrete is among the most common sources because it sets fast and is easy to build. You can use it in the form of concrete blocks of different size and thickness. People rarely use wood because the material is weak. However, it works well to compliment landscapes and for gentle slopes. You have to use them together with screws and spikes to enhance its stability. Rubble stone is an excellent choice if your desire is to get a natural look. Even though it is time-consuming and difficult, it produces an excellent engineering as long as you use the right engineering expertise.